I spent about six hours on Sunday using a chain saw to cut up half an Alder tree that split in half and fell on the slope in my backyard. It wasn't pretty. This was not my first venture into the realm of the lumber jack. About 13 years ago I blogged about my saga with having a tree service from hell cut down two trees in my back yard and the months I spent trying to get rid of the wood. That involved a great deal of splitting wood, but no chain saw. I've tried on various occasions to describe the wild slop of property that is my backyard. Although it is cool to have half a stream (it flows into a very unpicturesque culvert half way across my property line) flow at the foot of the slope it provides the environment for wild plants and trees attracted to the water supply. This is not Christopher Robin's idyllic half acre wood. We are talking red alder trees, some fir trees, a few cedar and lots of Rhododendrons. And of course pervasive ivy, blackberry vines, horse tails, morning glory and monster weeds. The ivy has grown up the trunks of many of the alder trees. I believe that is the reason the particular tree that had split in two and fallen across my ancient fence. It had been overcome by ivy and fallen apart. Normally, I would have left the fallen tree alone. But a good part of it had, as I said, fallen across my fence and was sticking out on the sidewalk. I still would have ignored it if I didn't worry that someone would complain to the city and I would have been ordered to do something about it like pay a tree service to remove it. I don't like or trust tree services after my run in with them over a decade ago. I also don't want to pay one a fortune to do what I am perfectly capable of doing. So I did the sensible thing and ordered an electric chain saw on Amazon. This was not my first chain saw. I'd owned a small one when I purchased my first house 30 years ago and faced the specter of falling pine branches every winter. It was a cheap and the chain came off half way through cutting up anything. 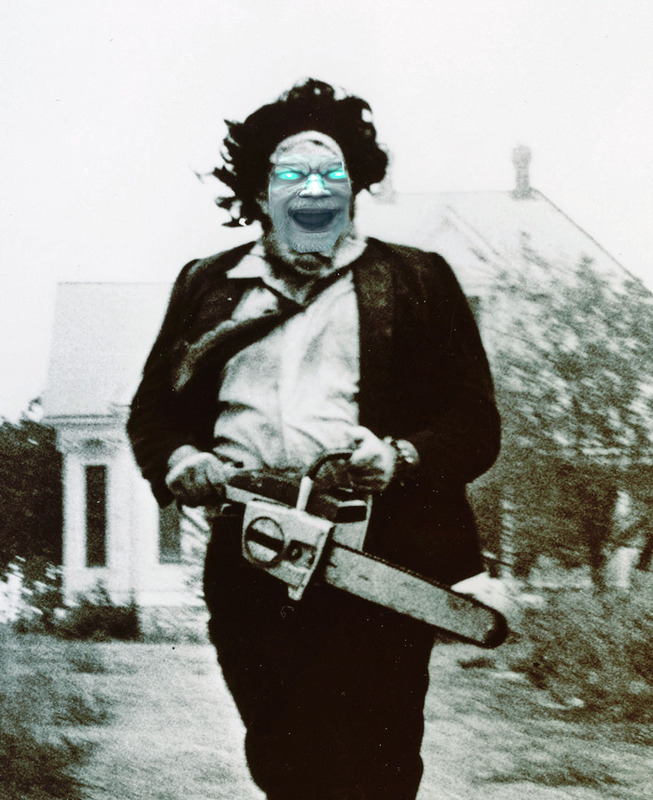 My new chain saw has an 18-inch blade and came highly rated on Amazon. It's no gas chain saw, but it is big enough to do what I needed it for (or at least what I thought I needed it for). I'd taking care of the pressing problem of eliminating the branches of the fallen tree that were threatening to block the sidewalk several weeks ago with a pruner and a bow saw. The next step was clearing away the curtain of blackberry vines that has taken over that part of the slope. I improvised with a hedge trimmer and the pruners and cleared an area around the fallen tree and it's larger branches. The biggest challenge of cutting up the tree was finding solid footing on the slope. And to safely use a chain saw, you should make sure you have having solid footing. You are also not supposed to have the chain saw higher than your shoulders when you are making a cut. Apparently no one explained this to the tree when it split in two and fell. To make a long story a little bit shorter, I managed to cut up most of the fallen tree and its limbs without cutting off one of my own. And I made sure that I cut the rounds from the tree trunk in manageable sizes so when it comes to inevitably having to split the wood I won't kill myself. I guess the point of this post (if there has to be one) is that when a tree (or part of a tree) falls in the forest (or my backyard) and there is no one there to hear it, it does make a sound. It's the sound of a chain saw and my moans as I lug chunks of wood around.